Do you see a pattern forming? 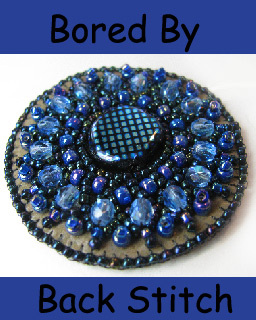 :-) After last week's pink pendant, I decided to go ahead and show you another of my "trial run" pieces. It's fun to practice on smaller works! 1. 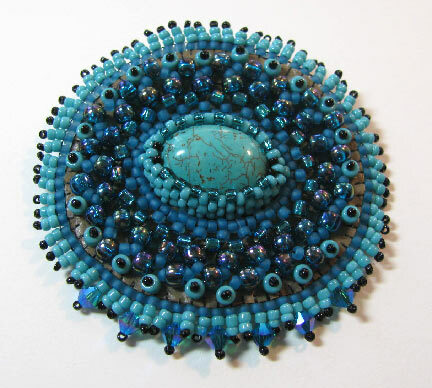 I bezeled an oval-shaped bead, using a classic peyote bezel style. See the tiny black beads at each end? 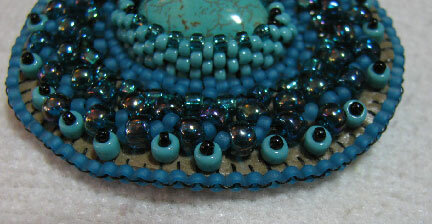 They are size 15/0 seed beads instead of size 11/0 seed beads so that it will pinch in on the ends. 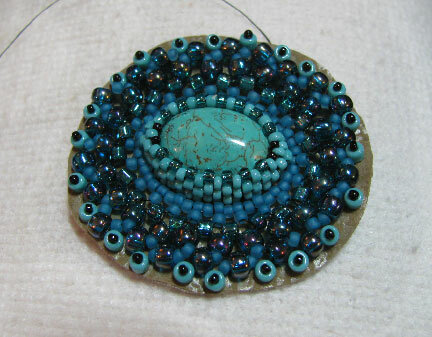 Next I added an additional row of peyote and morphed it into RAW, which I continued for a couple of rounds. The last row is short stack stitches. 2. The whole piece is edged with edging brick stitch, as usual. 3. 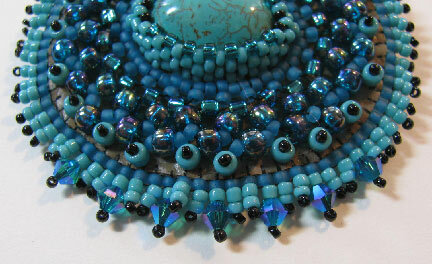 I added stacks and accent beads to the edge. Oh man, these are totally my colors. HINT. LOL! I love what you're doing with this. 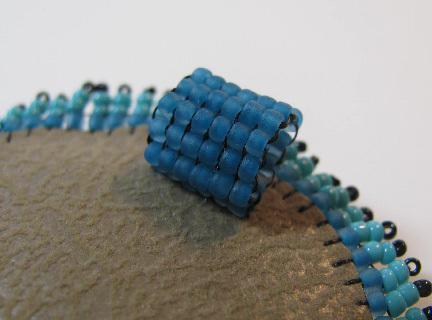 I love that you even do bead woven bales. I's totlly coordinated and beautiful, Cyndi.